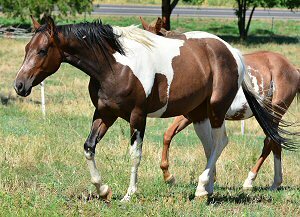 We have put together a select group of Paint broodmares (after many years of searching and breeding) who carry the tobiano gene and we are selecting cutting bred Quarter Horse pedigrees to bring the colour gene into, to give us modern Quarter Horses that carry the tobiano colour. 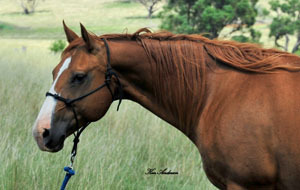 Our Quarter Horse mares that are included in the broodmare band were selected purely on their depth of pedigree. Each year we breed these mares to stallions that are cutting and reining bred and have world class pedigrees and outstanding performance histories. Check out our choices in the REFERENCE SIRES pages. We five panel or three panel test all our broodmares before they join our breeding herd. Results are listed in their writeups. 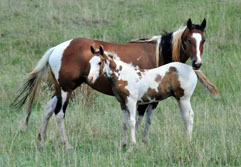 Scroll down to check out our broodmares. From time to time a few of our broodmares are for sale, go to our Sale Barn page for more information or email Dawn or you can simply phone her 0402 797196. 'Tapt Dancin Cat' is an NCHA (Aust.) Open Derby Champion, Victorian Open Derby Champion, NCHA Classic Champion, Toowoomba Open Classic Champion, and Victorian Open Classic Champion. He is one of the best bred cutting studs to be imported to Australia. 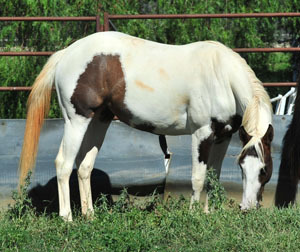 Tapper's dam is by the import stallion 'Peppys Doc Bar' * who is out of the USA NCHA Hall of Fame mare 'Fizzabar'. 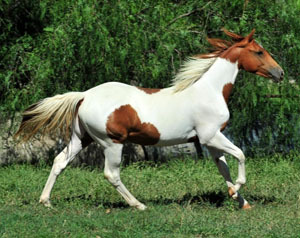 This mare is bred for speed and from a bottom line of cutters. 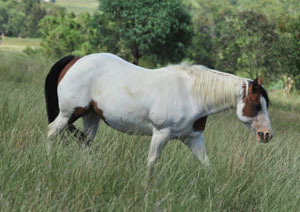 Smarty is a small mare but very quick and cow smart. 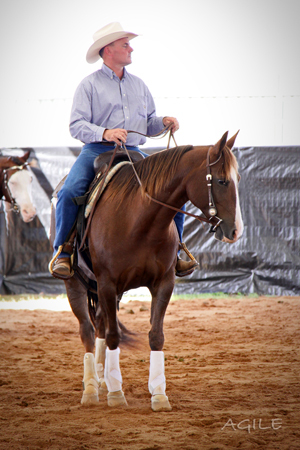 Her sire is the legendary 'Color Me Smart' (USA) who's progeny have earned $3 million in NCHA money. 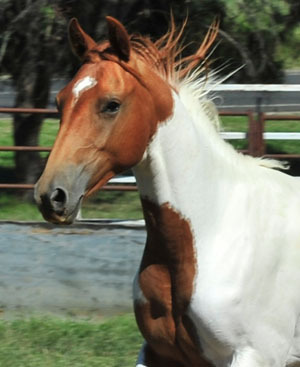 Smarty is out of a 'Dualin Gun' (USA) mare and is just beginning her broodmare life. We expect her offspring will be awesome cow smart performers. 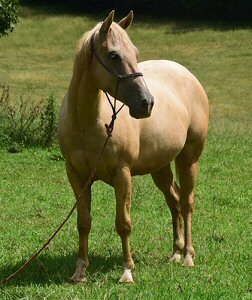 This palomino mare is a sister to NCHA money earners - 'LD Whata Katt', 'LD Dreamtime', 'LD Kattnap' and 'LD Kitty Katt'. 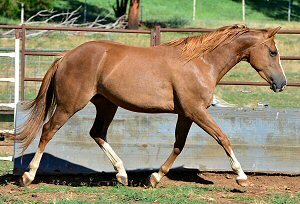 She is by the USA sire 'Sophisticated Catt' (USA), three time AQHA World Champion, sire of earners of over a Million $USA. This is an awesome mare that we are delighted with. Well balanced and a nice type. Should be catty on a cow as her pedigree suggests. Eligible for APHA registration. 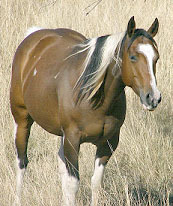 What can we say .... this mare has a wealth of cow horse breeding in her pedigree. Now producing some awesome foals for us. Check them out in our Sale Barn page. A nice moving filly out of a good rodeo bottom line. Speed and size on the top of this pedigree will give multiple options for the direction these genetics can go. Complimenting a nice temperament and good conformation. 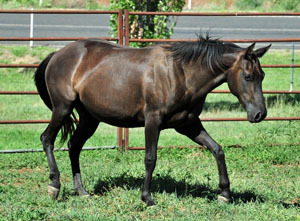 This 2010 black filly will introduce the great Jack Hammer line to our broodmare band. Her sire is an NRHA Open Futurity Champion. her dam Poco Peppy Kate is the dam of Acres of Class, 4th in the 2004 NCHA Non-Pro Futurity final. 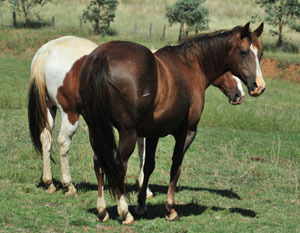 Finalist at Toowoomba Non Pro Futurity places 4th, 1st go-round at Goondiwindi Non Pro Futurity. Multiple wins and places in campdrafts in ‘04/05. 5th at 2006 NCHA Gold Cup Open Non-Pro. 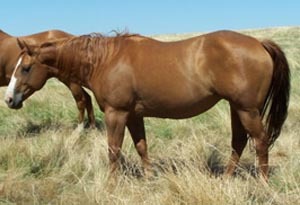 Granddam: Clover Kate Kelly, dam of 49er Kate (by 49er Doc*)1990 NCHA Open Futurity co-champion. #4 most successful producing daughter of Jack Hammer, with her foals having total earnings of over $18,000. Full sister to Clover Ned Kelly, NCHA money earner, working cow horse champion. 3/4 sister to Clover Cherry Ripe, NCHA Hall of Fame (AUS), earnings of her get, grand-get, etc totals over $120,000. 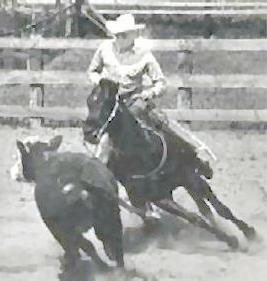 Grand dam's Sire: Jack Hammer (imp) NCHA Hall of Fame (AUS), NCHA money earner, sire and grandsire of NCHA Hall of Fame inductees. 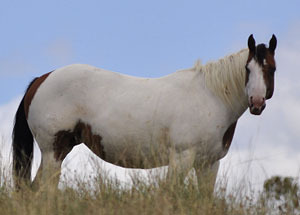 Cotton is a nice sized 15 hand mare with the typical lightly muscled Acres Destiny type conformation. 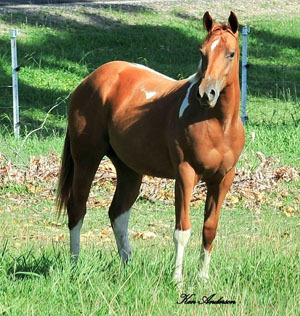 She moves nicely and is a very trainable, soft and light mare in your hands ... which is what Pepper's fillies are all like. Ellymay is everyones favourite. A good sized mare that is like an armchair to ride. She passes her sweet disposition on to her foals. We should be breeding her more but she gets used on cattle because she is so handy. She has a low sweeping style when cutting and sorting our bulls. Ellymay has won numerous National Championships in Team Penning, Ranch Sorting, Cutting, two handed cutting and placed in Amateur reining. 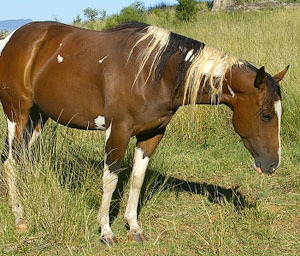 This is a honey of a mare with some size and a great pedigree. We feel lucky to be able to have this young mare to breed from. 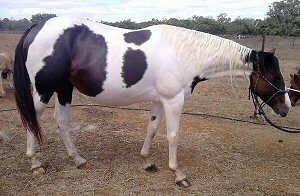 She has a heavily muscled frame, good balance and has a cow horse pedigree you don't find in K-mart. 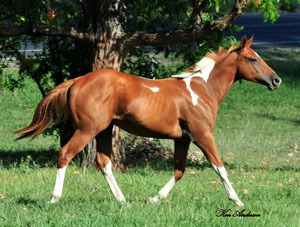 SCH Reyn N Color PHAA 15025, (Zipper) 2014 mare. This young mare will join our broodmare band in 2018. She has a terrific cow horse pedigree with USA sire and grandsire. 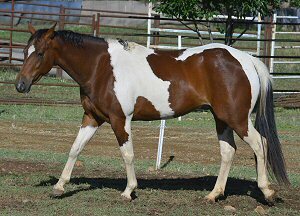 Her sire 'Ten Colors' (USA) has NCHA LTE: $77,076 Wins include - Augusta Futurity Res Champion, Apha 4yo open challenge champion, Apha World Jr Res. 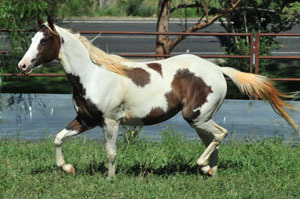 Champion, Apha 5/6 yo Challenge Res. Champion, Congress $10.000 Novice Champion.